“Irish America,” if I may use that term, has a problem with racism. To summarize, many of those of Irish descent in the United States reflect world-views of Donald Trump. “I haven’t stopped smiling all day… I like Trump because he is not a politician – he tells it like it is,” said Pat Troy. “I identify with him…. He wants to keep jobs in America and change the system politically,” noted Aileen Deeter. 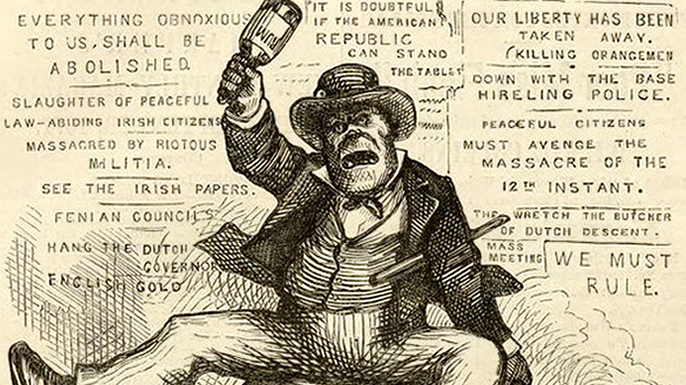 Anti-Irish sentiment in the United States. 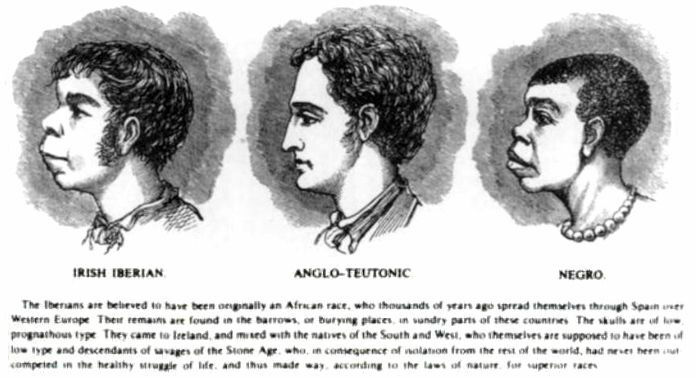 The Irish were once “non-white” in the United States. They were, quite literally, a despised race located at the bottom of the racial hierarchy of America (right there with African Americans). They used to be part of some “other species,” maybe something close to apes. Sound familiar? All you need to do here is substitute Irish for Muslim, Mexican, Haitian or African. And yet today, Irish Americans are some of the most steadfast supporters of Trump’s blatantly racist agenda. Consider the following: Ryan (House Speaker Paul), Bannon (Steve), Conway (Kellyanne), Hannity (Sean), O’Reilly (Bill), and Kelly (Chief of Staff) are all common names of Irish origin. Vice President Mike Pence also has Irish ancestry. Irish Americans, especially those listed above, would do well to remember the coffin ships that carried their ancestors from Famine-wracked Ireland. They would do well to remember the “Irish Need Not Apply” signs their ancestors encountered on the streets of Boston. The story of the Irish, both at home and abroad, is one of immigration, racism and oppression. We, as Irish Americans, must “understand and echo the concerns of those communities who face fear and uncertainty,” as the Irish Stand passionately claimed. If we – as Irish Americans – do not do that, we have lost our Irish identity. This was in response to an Atlantic article regarding the Trump comments and featured a reference to another Atlantic article from June 1896 I also read by one Francis Amasa Walker, president of MIT for 15 years beginning in 1881, and of the American Statistical Association in 1882. (I’m an MIT alum, and a member of the ASA.) 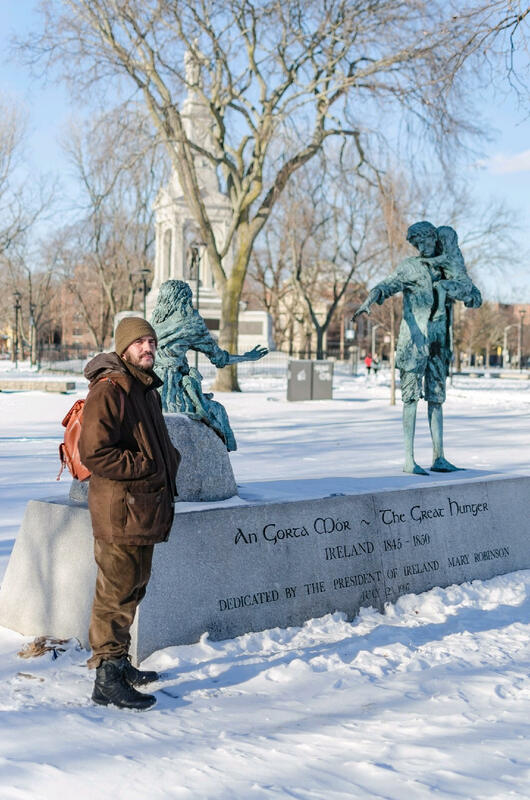 There’s even a Walker Memorial on the MIT campus named in his memory. Pretty eugenic, that.